For the past year curator and co-founder of TOK Anna Bitkina took part in the seminar REALTY as a part of her studies at The Dutch Art Institute. Realty has focussed on the role of Contemporary Art in recent histories of urban development and gentrification. As groundwork, participants of the seminar have focussed on conditions and analytics specific to the Netherlands and Athens. On June 6 in Helsinki TOK launches the project 'The Russian Bar: Why Relocate? New approaches to neighborliness and interchange'. 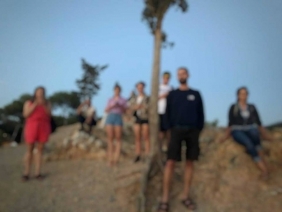 This is a traveling discursive and exhibition program about global processes of migration and its local implications, past and current Russian-Finnish relationship and the role of art in creating social connections. 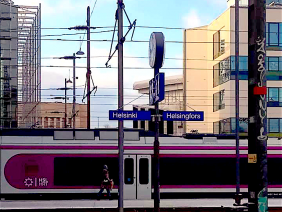 Series of performances, talks, artistic interventions and small-scale exhibitions will take place in different venues in Helsinki in June and August-September 2018. The project idea is driven by the curators’ intention to analyze the dynamics of migration processes fueled by the political turbulence of the past and current decades, and find new languages and ways to articulate the changes they bring for local and global professional communities. 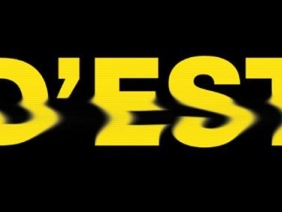 TOK curators Anna Bitkina and Maria Veits have been invited to join the curatorial team of D’EST: A Multi-Curatorial Online Platform for Video Art from the Former ‘East’ and ‘West' initiated by curator and researcher Ulrike Gerhardt from District Berlin. The platform is a collection of numerious videos selected by the curatorial team and accessible online until the end of 2020. Between June and November 2018, the online platform will publish a total of six screening chapters reflecting post-socialist transformation. 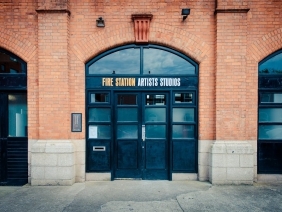 In April 2017 TOK curators Anna Bitkina and Maria Veits will spend two weeks in residency at Fire Station Artists' Studios in Dublin and will conduct a series of meetings, presentations and studio visits aimed at the research of the local art scene and cutting-edge artistic and social practices. TOK has been invited by FSAS based on competitive selection, which they run annually for international curators.